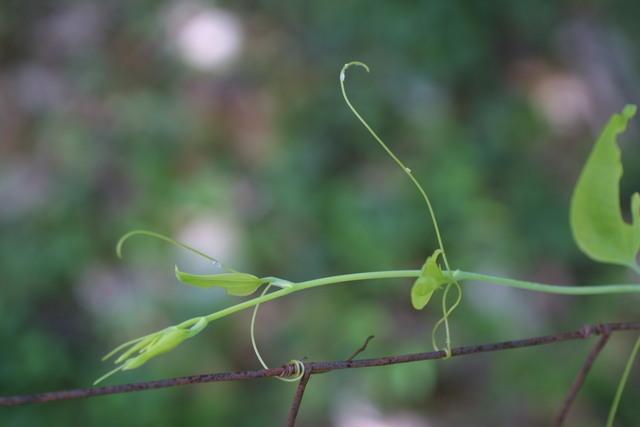 Smilax rotundifolia.tendrils.© Copyright Steve Baskauf, 2002-2011.discoverlife.org (Accessed 6/2015). Smilax is a genus of woody or herbaceous slender, climbing vines; monocotyledons, arising from a creeping rhizome; stems bearing a pair of tendrils from the base of the leaf stalk (petiole); the woody species armed with straight prickles; young stems green, stems never becoming thicker with age (as with stems of monocotyledons in general). 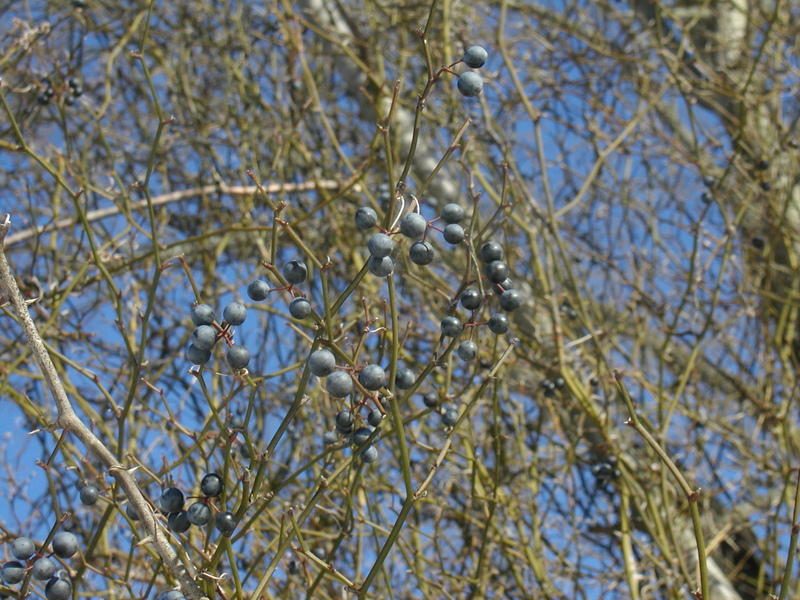 Smilax rotundifolia.stems and fruit.commons.wikimedia.org (Accessed 5/2014). Flowers yellow or greenish, small, dioecious (males and females on separate plants); bilaterally symmetrical (regular), petals and sepals the same (tepals), spreading, each in a whorl of three, style very short; inflorescence of umbrella-shaped clusters or sets of clusters. Fruit fleshy (a berry), ours dark blue to black.